Who is this BPM guide for? Anyone who wants to learn the basics of business process management. Anyone who has decided to take on a process redesign or optimization project in there organization and wants some advice on how to approach it. Business analysts/BPM pros looking for new ideas and tools. We hope you find the guide valuable and if so, please share it with others who might find it helpful. Business Process Management (BPM) is the organizational discipline that provides tools and resources for analyzing, modeling, optimizing, monitoring, and controlling business processes and for measuring and driving improved performance of interdependent business processes. The most important clarification of this often-misused acronym is that it is a broad organizational discipline, not a BPM software application, BPM tools, or a one-time attempt to improve isolated business processes. Business Process Optimization (BPO) is the targeted redesign of processes to promote efficiency and strengthen the alignment of individual processes with overall strategy and goals. BPO means so much more than automating existing workflows. A BPM initiative may include BPO efforts but it also provides a robust framework for driving the organization through the major changes that arise from regulatory shifts, adoption of new technologies, corporate restructuring or marketplace dynamics. High-performing organizations understand that business processes are not static and that the rate of change has been increasing steadily over the last decade. Many have already adopted a “top-down” or enterprise BPM approach to foster greater agility in responding to change. They have the right leadership commitment, well-defined BPM responsibilities, IT support for the BPM tools that automate workflows and monitor performance, and a rational framework for prioritizing and scheduling all of the business changes that arise concurrently from multiple directions, throughout multiple business departments. Other organizations may be struggling to coordinate “bottom-up” or departmental efforts at process automation, improvement, and management. Some are tempted to begin by selecting an automation tool and developing streamlined workflows within a particular department. While this approach provides targeted improvement, an ongoing integrated approach yields significant lasting benefits for all types of businesses. The initial departmental effort often serves as a valuable proof of concept so that BPM discipline radiates outward to other departments who see the benefits of a structured approach. We have written this guide to provide you with a thorough understanding of key factors for achieving BPM success, whether your starting point is top-down or bottom-up. It will help organizations struggling with specific issues in their current BPM approach as well as those businesses that are new to BPM. Enterprise BPM – There are many good reasons for adopting a rigorous enterprise-wide approach to business process management. IT does not matter if you start small or begin with a comprehensive effort. No business is static. Internal needs such as ongoing cost reduction, the roll out of new products and services, and planned mergers, acquisitions, or divestitures require changes to business processes. The external pressures of market disruption, regulatory changes, and the need to replace outdated, unsupported enterprise software also impose process changes. Any of these changes will be less disruptive to employees and business operations if changes to current business processes are documented and communicated appropriately to all segments of the organization. 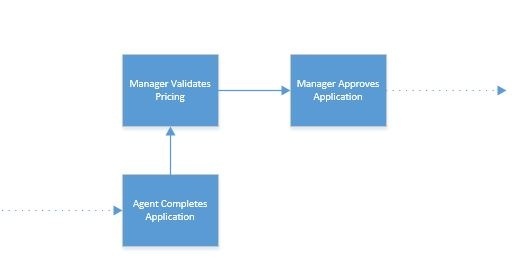 Scoping and Prioritizing the Process Architecture – While there are immediate gains to be made from targeted process optimization efforts within a department or single process, future technology and business initiatives will be more fruitful if there is a comprehensive process hierarchy to use as a starting point. This makes it easy to flag changes imposed by individual projects or prioritize process optimization efforts. Mapping Business Processes – It is important that the organization adopt and communicate a common tool set with a single verbal and visual syntax for defining business processes - including process variances as well as the standard daily process flows. This chapter will provide rules and tips that will make it easy for individual process teams to coordinate efforts. At this stage of the BPM initiative, it is important to begin flagging the key performance indicators (KPIs) that help an organization understand if process optimization is yielding the desired results. Process Optimization Fundamentals – This chapter will explore some of the common inefficiencies that BPO can address, including the automation of work done outside the enterprise software applications, streamlining of approval workflows, and the elimination of non-value added hand offs between job roles. KPIs and Metrics – Without an enterprise framework to process management, organizations may experience tension and inefficiency when departmental KPIs become opposing forces. After long-term performance targets are established, organizations should adopt target metrics on a realistic phased timeline. Every employee who plays a role in the process needs to understand his or her personal performance targets in order to “move the needle” in the right direction. Managing Evolving Processes in Real Time – Business process management does not end with the documentation and communication of new processes. After investing in a BPM initiative and toolset, the management team needs dashboards and reports to provide insight into process performance so that they can pinpoint bottlenecks and actively drive operational efficiency. Without visibility, they will be unable to find and eliminate "shadow processes" that may persist when employees continue to work outside of enterprise transactional systems. From Process Diagrams to Real Process Change – BPM success requires more than process documentation. For some organizations, it will be a massive cultural shift, with a new lexicon, new roles and responsibilities, new software for defining processes, new online forms to support automated workflows, and new dashboards for tracking results. In an environment of continuous waves of business change, a flexible and cost-effective training framework plays a critical role, especially in a multi-generational workforce that has multiple learning styles. Management needs to provide resources for change management and change leadership to keep employees motivated through successive changes. Choosing the Right BPM Tool – There are many BPM options in the current software marketplace. Some enterprise transactional systems may also include configurable workflow functionality. This chapter will help you understand the business and technology selection criteria so that you can tailor an RFI or RFP to the unique needs of your organization. Many organizations are struggling while trying to adapt to changes coming at them from multiple directions at the same time. In addition, there is always a need for incremental improvements in efficiency. In a global organization, each regional sales team had independently designed sales reporting processes with different pipeline status definitions, making it impossible to design a single workflow, re-segment sales regions, or analyze meaningful reports to gain insight into pipeline status and sales effectiveness. A customer service manager, working in a vacuum with a brand new ERP system, instructed the entire sales order entry team to overwrite the amount requested with the amount actually shipped, so that the company had no way to understand how many orders were shipping complete. The customer service agents were blindsided when fielding calls about incomplete orders, because when they viewed the order, it looked like the customer had received the amount they originally requested. A process team at corporate headquarters designed approval processes and assigned tight approval privileges. When the third shift at a production plant had no one available to authorize repair parts requests and swipe in to the spare parts cage, plant personnel had to destroy the parts cage to get the parts needed to keep the line running. An IT department manager tries to improve business satisfaction with IT by implementing every change request without instituting a formal change review and control process. Satisfaction goes down, because department A deems department B's changes a drag on efficiency. The changes were a Monday morning surprise to department A because the IT project manager only notified the requester in department B that the changes were going into production. In these and other cases, narrow scoping that misses the crosscutting implications of process changes is the source of harm. Before interdependent business processes can be adjusted, there needs to be an enterprise level board that assesses the full organizational impact of proposed changes. The impact includes process changes, changes to roles and responsibilities, and potential changes to staffing levels. The changes are not always clear if the assessment lens focuses only on normal day-to-day operations. The impact of process variances can be significant and even disastrous. Consider this example undocumented process variances in a rapidly growing company. A rapidly growing packaged food company was new to the marketplace, and grew their brand aggressively through social media, which was the perfect way to reach the target demographic for their product: young moms who were looking for healthy foods for their children. A social media manager adeptly managed their Facebook page, Instagram postings, and Pinterest boards, serving up engaging content daily. When a product recall was necessary due to contamination at one of their plants, there was no way quell with the venom that ensued on their Facebook page. The Facebook page referred disgruntled consumers to contact the consumer care line to obtain a refund. Consumer care could not handle the volume of calls and asked callers to log a complaint on the website, which crashed under the load. No one had defined the approval process for social media responses in a situation that could eventually result in litigation. The entire process for product recall management had to be designed on the fly, with several blunders that only increased consumer frustration and attracted additional media scrutiny. How often might that happen? How severe is the impact if it does happen? When we talk about an enterprise-wide approach, we mean engaging all departments and regions involved in business operations as well as the people responsible for the organization's information technology. No organization is so simple that it can design new processes and workflows and hand them off to IT for implementation. Managing or optimizing business processes is now more iterative and collaborative, especially in those businesses that have departments running key processes on cloud-based point solutions. Often, the BPM team must sketch out several process alternatives to give management the opportunity to weigh the pros and cons of full automation, semi-automation and competing data integration approaches. The best time to pull together an enterprise level BPM initiative that delivers lasting results is during a lull in the change cycle. However, few businesses can carve out sufficient time to pull together baseline documentation of all their processes and get them under change control for upcoming and possibly overlapping changes. The start time or timeline of major initiatives such as an Enterprise Resource Planning (ERP) project, Electronic Medical Record (EMR) rollout or acquisition integration may be adjusted to allow the time and resources to address the process definition work first. In one very successful ERP implementation, a high-performing organization included the process work in the project plan. They also used those processes several times as the basis for flawless integration projects when they acquired several large businesses. In another business, a group of executives struggled with the integration of a larger business because they did not even have a formal documented process hierarchy, let alone documented processes. For many months, valuable time was wasted in meetings to verbally hash out how the combined business should be running. No one had time to document the outcome of these meetings, so the business continued to experience stress and chaos. In the first example, the financial results during the integration period exceeded expectations. For the second business, the chaotic integration eroded financial performance for over a year, and the board of directors replaced several members of the executive team. Strong executive support and ongoing communication from the top that makes the priority of enterprise BPM clear to everyone. Allocation of sufficient resources from across the business and IT to the process design and management effort. This may involve backfilling key resources' day-to-day responsibilities. A formal process improvement methodology, lexicon and toolset so that everyone speaks the same language and all process teams produce the same results. A clear approval process for implementing process changes. It needs to include the identification and resolution of crosscutting issues. Need expert guidance for your business process project? In earlier chapters, we discussed how optimization of a single process or of the processes in a particular department could yield real business improvement. 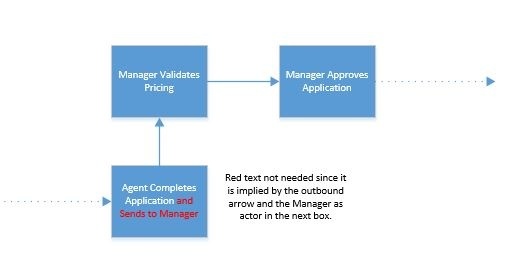 However, without effective scoping and prioritization of BPM efforts, both point optimizations and enterprise initiatives sometimes mimic the situation described in the classic tale of the blind men and the elphant. Each blind man touches the elephant in a single place and infers a different form and function for the creature. Similarly, an individual process team or department may see only a part and not the whole process. Inability to grasp the big picture may lead the team to make changes that have unintended and potentially harmful consequences for other processes and for the overall goals of the business. The best way to avoid the blind men and the elephant approach begins with the development of an overall process hierarchy. At the highest level, begin with major business processes like quote-to-cash or orders-to-cash. 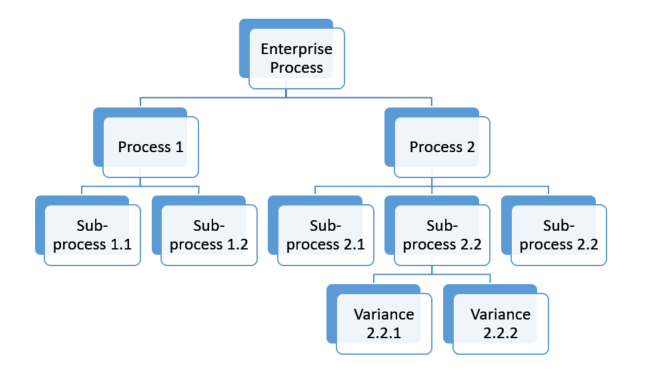 Many process optimization teams adopt a hierarchy like the following, although the name of each level may differ from those we suggest below. A series of steps that encapsulate a single activity. Further broken down into various types in Level 4. Many organizations have taken the time to develop their own process hierarchies and maintain them through multiple business initiatives and software implementations. 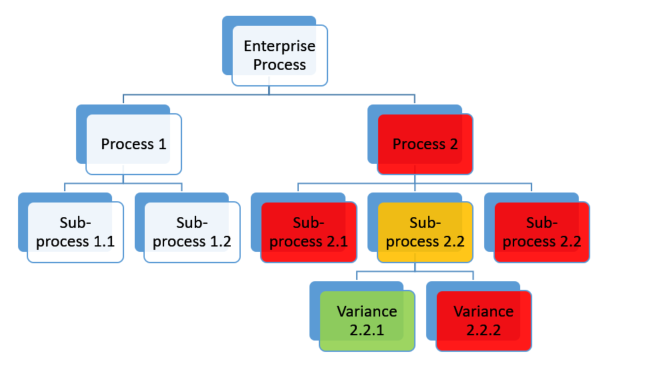 There are also standard process hierarchies available for many business verticals through APQC. These can serve as an effective starting point for businesses that are starting from scratch. 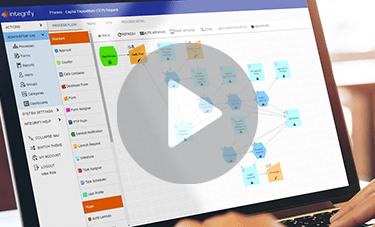 Capture and maintain a visual representation of the process hierarchy in any application that describes an organization chart such as Visio or PowerPoint. If you do not have team members who are fluent in these apps, store the hierarchy in a spreadsheet. With the process hierarchy in place, the next step is to establish process ownership, responsibility and accountability. At the highest level, the executive team has the authority to establish enterprise process goals and metrics that align with overall business strategy. Process ownership/authority does not necessarily become more granular at the lower levels of the hierarchy-such an approach may lead to the blind men and the elephant scenario. For the lower levels in the hierarchy, businesses must be clear about which roles have the authority to place requirements on the process at that level. For example, the accounting department has the right to specify requirements on how the production plant handles raw material receiving so that vendors can be paid in accordance with corporate accounting policies. At the lowest levels of the process hierarchy, it is important to flag how the granular processes map to specific job roles within the organization. A simple approach is to map the lowest level to the roles that perform the steps in the process. Most BPM teams lay out a RACI matrix in the following way, using standard symbols and colors. From Business Analyst Learnings' "RACI Matrix: A Practical Guide"
Early in the BPM initiative, teams may only capture the responsibility and accountability/approval information. Detailed analysis sessions will include discussions of who needs to be informed and consulted. With the responsibility and approval assignments information defined and agreed upon, it becomes very clear who really has the authority to make or approve changes to business processes. This gives process improvement teams the guidance they need to seek alignment and approval of process changes. Within a particular process or workflow, the full RACI matrix provides rules that can drive the development of automated workflow by specifying the information that is sent to approvers and those who need to be consulted and informed. The hierarchy with a supporting RACI matrix improves the ability to flag and manage changes to inter-related business processes. Without such a structure, the business is at risk of unintended consequences from changes made in a vacuum. BPM is never an academic exercise that proceeds in a vacuum. At a given point in time, businesses face concurrent and sometimes competing needs for such exigencies as shifts in strategy, revenue growth, cost containment, and pressure to replace legacy software applications. While these needs may be thought of as distinct projects, the business process hierarchy can be used as a tool to coordinate effort so that the concurrent changes to a single process area can be implemented together. This makes it easier for end users to absorb the changes. A Project Management Office or similar structure within an organization can heat map the hierarchy, flagging areas that are may be at high risk when major changes are in the works. Remember, it is fine to begin your process management efforts with a quick win within a single department or functional area. As other parts of the business seek to duplicate the initial success, the effort put into scoping and prioritizing will pay off as the BPM team moves forward with coordinated effort. A few simple rules provide a standardized framework for mapping processes effectively. Of course, you will begin with the scoping hierarchy we talked about in the last chapter. Normally, you will continuously refine the hierarchy as you proceed through an enterprise process initiative. It is said that brevity is the soul of wit, but it's also critical to creating understandable process maps by using crisp, precise language and a standard visual syntax of boxes, shapes, colors and arrows in a process diagram. 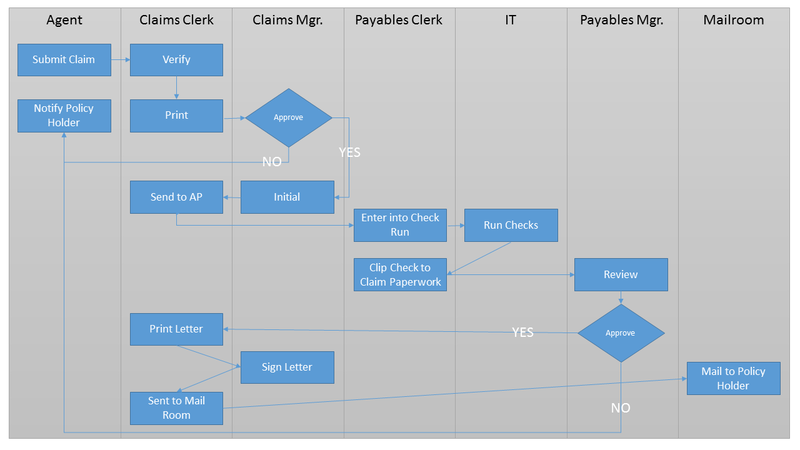 Each box on a process map should represent a single action or decision. If the diagram uses swim lanes (also known as cross-functional flowcharts), the actor for each step is defined by the lane, not within the action or decision box on the chart. The box should contain simple verb+object phrases, with the to and from information implied by the arrows ending and originating on the box. Use boxes for steps and diamonds for decision points. Is this a special order? Minimize the number of crossing arrows by carefully placing the boxes on your diagram. Keep long arrows tidy by breaking direction in right angles instead of diagonals. For processes that involve complex logic and branching, break some of the logic branches out into separate diagrams. Too much information with too many decision points on a single diagram may confuse some audiences. In the past, a business process initiative always began with extensive effort devoted to mapping the current state, especially if the process team was a group of outside consultants. Today, more and more teams abandon the potentially wasted effort involved in documenting "What is" and "What was" and jump right to defining and mapping a new target state process. If there is a solidly internalized understanding of how things work now, it's fine to skip the extensive documentation of the current state. Each of these situations may add or change steps in the simple workflow for receiving in an order. Failure to properly understand and educate the receiving staff about them may result in payment errors or inventory inaccuracies that could have significant impact on the company's financial statements. You cannot improve your business processes without a clear goal in mind. That is why we need to discuss key performance indicators at this point, although we will return to this topic in an upcoming post. A customer service center puts together a team to work on the department's business processes and "improve customer service." They cannot dive in and propose new processes or new roles and responsibilities until they clarify what "improving customer service" really means. Is it about reducing customer wait time in the queue? Is it about completely resolving a customer service issue on the first call? If improving customer service is about both, the team needs to realize that these performance indicators may be at odds with each other. Driving toward first call resolution may increase the time spent on that call, which may increase customer wait times if the staffing levels are not addressed as part of the improvement initiative. Reducing time in queue may only be achieved if agents hurry through the initial call and promise a callback with the requested information or resolution. The effort to improve processes or the quality of process outcomes must always start with agreement on the goals. Process teams may start with a mandate to improve quality or timeliness or accuracy but the goals must be stated very crisply with an actual target metric that can be measured and tracked. Quality: Reduce the product defects to 1 defective finished assembly per 1,000 produced. Timeliness: Close all financial periods within 5 days of month-end. Accuracy: 99% of all orders will contain the correct items and quantities when picked for shipment from the warehouse. With verbal precision established for these agreed upon KPIs, the process improvement team can better hone in on which parts of the process to improve. 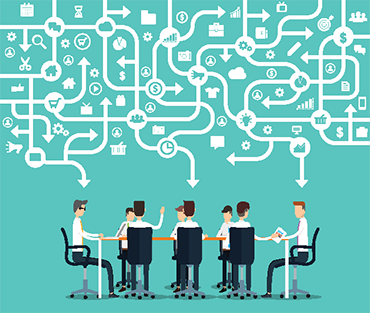 Smaller optimization projects may be led centrally or by self-organizing teams within a department or across departments that participate in a bigger process chain. These projects can make substantial improvements by addressing the low hanging fruit. Individuals negotiate across job roles to speed up operations, load-balance during peak periods, or move work to better align with personal skills. A customer care organization photocopies a form, writes in the content of a congratulatory letter for clients who have been with the company for 10 years, and sends it through inter office mail (or walks it!?!) down to the Word Processing Department. Before electronic medical records (EMRs), patients were discharged from the hospital with handwritten discharge instructions: one copy went to the patient, one stayed at the hospital, and one went to the patient's primary physician. Now, doctors enter their orders in the EMR, the discharge nurse finalizes and prints a copy for the patient. Hopefully, the primary doctor can access the hospital system from home or from her office. There are two aspects to consider when evaluating the handoffs between roles in a process or workflow (and this is the biggest reason swim lane diagrams for process visualization are always helpful). Does the step truly require a handoff? Sometimes segregation of duties requirements mandate a handoff, but in some organizations, there are handoffs in place to justify high staffing levels or to work around the preferences or skill deficiencies of particular resources. Here is another example of low value work + unnecessary off system work in a member services organization. An external consultant immediately suggested eliminating the printing step, and was almost run out of town. The consultant persisted and took a quick survey of chapter coordinators who almost unanimously requested the elimination of the postcards in favor of emailing the event notifications out themselves. Significant work was being wasted on steps that had no business value. Consider the following real example from an insurance company. A local agent submits a claim for a minor benefit. It appears in a workflow queue at the main office. A claims clerk verifies eligibility requirements, prints a copy of the claim, and walks it in to the office of the claims manager. If the claims manager approves, he or she initials the printed claim and hands it to the clerk who sends it via inter-office mail to a payables clerk. This real-world example contains multiple approvals as well as non-value added steps that could have been automated either within the enterprise systems, or in a modern workflow tool. Earlier chapters highlighted the importance of KPIs and metrics to effective process management. Although the great Peter Drucker quote “If you can't measure it, you can't manage it" has become a topic of debate among process gurus, KPIs and metrics are still the most important tools in driving tangible process improvement. Let's start with some definitions, because the two terms are sometimes confused. The following table gives some examples and shows how the two are related. Reduce Days Sales Outstanding from 63 to 40 by the end of Q3. Increase inventory turns from 5 to 8 by the end of 2017. Increase first call resolution of inbound customer questions from 80% to 90 percent by January 1. Reduce Days Sales Outstanding from its current value of 65 to 60 by the end of Q1, 50 by the end of Q2 and 45 by the end of Q3. There are several well-known approaches for defining effective KPIs and metrics, including the balanced scorecard (BSC) and Kaplan and Norton's strategy maps. Balanced scorecard helps to obtain a complete set of business goals across the four important perspectives on a business: Financial, Customer, Internal Business Process and Learning & Growth. It may be difficult to use for organizations that don’t have someone on staff who is trained in the BSC methodology. The strategy map approach provides a framework for threading the highest-level business objectives down through each layer of an organization, so that every level can play an appropriate role in driving the overall objectives. It does not limit itself to the four perspectives of BSC, so it has wider applicability across the organization. The most important thing to avoid is an unscripted approach that catalogs a wish list of KPIs from departmental managers, since this approach may result in too long a list of KPIs to manage, KPIs that provide insufficient business value, KPIs that are not aligned with high-level business goals, and KPIs that are actually at crossed purposes. As you finalize your KPIs, make sure your process improvement scope covers all of the processes that can influence each specific KPI. Include both leading and lagging indicators in your KPIs. A leading indicator points toward future actions, for example, the number of open customer service inquiries is a leading indicator. They can provide agility in staging interventions that move the needle in the right direction in real time. A lagging indicator assesses past performance. For example, past month's first call resolution percentage is an indicator of past performance. Lagging indicators are usually easier to track as long as there is a means to access and analyze accurate historical data. New sensors linked to cloud/mobile technology give us much better ability to steer by leading indicators. As a personal example, consider the historic evolution we have experienced in managing our personal fitness. Now: monitor your calories in by scanning barcodes with your smart phone, and monitor your calories out with your personal fitness tracker. S Metrics should be specific and tied to business goals. M Metrics should be meaningful and measurable. The underlying data elements must be captured accurately and completely and the calculation must be correct. If you cannot measure it or report on it from your current enterprise systems, consider the tradeoff in business value vs. manual effort or report development before including it in your list of metrics. A The target values for your metric must be realistically achievable. Do the right people have the ability and authority to drive the metric toward the target value? R Metrics should be realistic, relevant and results-oriented. Are there identified actions that can drive the metric toward its target value? T Metrics need to be timely, especially if they are leading indicator metrics. Can reports be generated, or dashboards be updated in time to allow appropriate interventions to drive the metric toward its goal? Multiple options for real-time visual displays with drilldown analysis capability through levels of regional, customer, product or other hierarchies. Robust role-based security. For example, the system should allow a clerical worker to see only personal performance metrics while allowing the manager to view individual as well as departmental performance. This functionality often exists within modern enterprise software applications. If it does not, it should be part of the core feature set of your process management solution. Either way, strive for maximum flexibility and power for the end-users without the need to rely excessively on IT staff to fine tune reports and dashboards to the process owners' needs. Effective metrics tracking and communication is critical to business operations. It also provides vital feedback to the process improvement teams, allowing them to get a better sense of what types of process interventions work best. This will help them improve their process improvement skills with each new initiative. 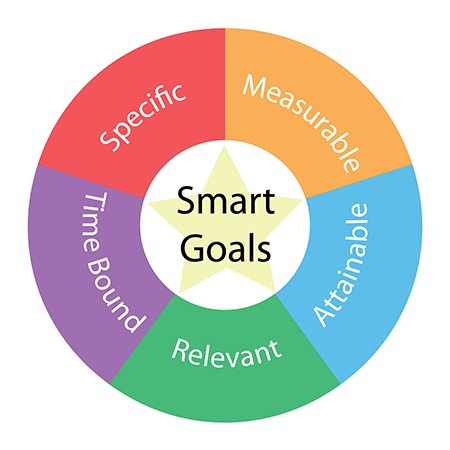 When you defined your KPIs using the SMART framework we outlined in the last section, you may have already been thinking about how you would measure and track them. If new reports and dashboards need to be developed, you also need to capture the answers to some questions about each KPI. Answers to questions like the following need to be documented after there is agreement from the business owners of the KPI, those who drive the behaviors necessary to influence the metric, and those who can authorize any effort involved in developing the required dashboards and reports. Who is responsible for driving this KPI towards the target metric? How often are updated values for this KPI needed? Do we need historic insight into year over year or quarter over quarter performance? Do we need to display predictive or forward trending based on where we are right now? Capturing this information is usually time-consuming, especially if multiple stakeholders have differing preferences and needs. It may be easier to jump-start the discussion with a prototype dashboard created by the dashboard/report developer, and to refine it iteratively until everyone is comfortable with it. 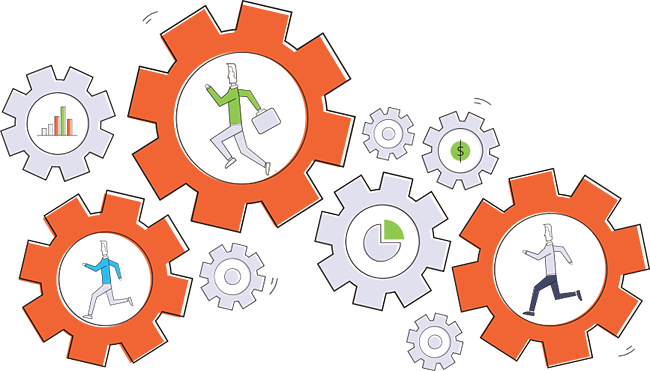 A governing body such as a steering committee needs to prioritize the effort involved in automating the answers to these questions for all the KPIs that are within the scope of the business process improvement initiative. The steering committee needs to consider the relative importance of each individual KPI to overall organizational goals. Using the metrics appropriately to communicate to the individuals whose day-to-day actions can move the needle in the right direction. A communication plan should specify each role or group that needs the information, and specify any special training that will be required for users to understand and use the metrics. Some groups can be overwhelmed by too much information or complex displays, but they need to know how they are tracking so they can take remedial action to improve performance. For example, appropriate communication to the shop floor or the customer service agent usually requires much simpler views than the dashboards created for management. Establishing appropriate behavioral incentives. Traditional incentives include bonuses and parties, but in some areas, gamification is now taking hold as an effective way to motivate individual and team performance against KPIs, especially with a younger workforce. Pre-planning interventions so that when performance is lagging, remedial actions are not invented on the fly. These corrective actions are often based on set points for the KPIs that are specified during process design and displayed visually as red-yellow green status. Pre-planning allows greater agility, eliminating meetings to discuss the options, and delays that arise when corrective actions require too many layers of approval. When average wait time for inbound customer service calls exceeds three minutes, we will add temporary CSRs. When our Days Sales Outstanding rises to 75 days, we will write all new sales orders with net thirty days’ payment terms. Agile cross-departmental steering, perhaps via a quick daily standup meeting while everyone reviews the pertinent dashboard. "I'll call Joe in IT and ask him to turn back the server clock so I can book this sales order in to last month." "The system is slow today so I'll just record this order on my notepad and enter it tomorrow." "I don't understand how to process these special orders, so I will just leave those in the queue and do the easy ones." "I was on the phone during training and never learned about all this drilldown stuff, so I will just track this information in my old spreadsheet and walk it over to the production department. Stacy hates this new system and says my old spreadsheet works better for her." "My new hire starts tomorrow, I'll just call down to the help desk and see if they can get me a workstation and account access asap, oh, and have someone come up to train them on all that IT stuff right after their HR new employee orientation tomorrow afternoon." In addition, verbal approvals and ad hoc decision making that is hidden in lengthy email threads hinder management’s ability to analyze what has happened and design effective ways to deal with non-routine situations in the future. The verbal and email workflows exist to fill what Oracle describes as process whitespaces, the work that gets done outside the large enterprise systems like CRM and ERP. The best way to fill these whitespaces is to add a cloud-based BPM tool that can be implemented quickly and configured (and reconfigured) easily. "To encourage shadow process owners to make their processes more visible, business process improvement leaders, application managers and enterprise architects should proactively suggest high-productivity BPM cloud platforms to their business process stakeholders." Now we need to discuss the real work of achieving process improvement. Diagrams, documentation, KPIs, metrics are all theoretical- they can only form the foundation of tangible process change. With that work in hand, there are two other important factors to consider - technology implications and the people side of change. There are several layers of technology needs you must address to support an effective process improvement initiative. Smaller businesses and departmental process improvement teams can take heart - there are great tools available to fit every budget in today's BPM marketplace. At the very minimum, you will need a well-organized portal where your employees can easily find the latest versions of process documentation and any training materials you develop for the initial rollout, as well as an evolving knowledge base. Should sales orders be initiated in the CRM software or an order module of the financial system? Should product specifications be managed in an isolated system or in the ERP system itself? The right answer changes over time in any business; this is why the application portfolio continuously evolves and imposes changes on business processes. If an organization grapples with these issues within the framework of a business change control board, they can find the right path forward at any given point in time. A Eureka! moment occurs when process teams understand that a perfect diagram cannot make a process improve until everyone involved understands and adopts the improvements. The strategies and tactics for making that happen are embodied within an organizational discipline called Change Management. All of the process work dovetails well with the change management effort to communicate, train, and encourage adoption. However, it takes a different or expanded skillset to help people through process improvement. Often, people who are very analytical are great at the process work, but struggle to understand people and how to motivate and guide them through significant process changes. Consider training/certifying a team member in this capability or hiring short-term consulting assistance for change management. Much has been written about change management and there are many good resources available for education in this discipline, but here are a few key points to remember. Develop a formal communication plan that specifies the message contents, the author, the audience, the delivery channel and the person who will deliver each message. Use separate but coordinating messages for each unique audience that will be affected by the new processes. Communicate through multiple channels as appropriate: emails, meetings (live and virtual), newsletters, posters, etc. Paint an honest picture of the benefits and of what you will be asking each individual to change. Employees tune out sales pitches and they deserve clear and honest answers from all levels of management. When preparing training materials, include information on pertinent policies and how individual workflows fit within the larger business processes. Train on the best-case scenario processes as well as the most common exception cases. People are more likely to adopt new processes if they understand why the processes are changing, and where their work fits within the larger business context. Finally, be realistic. Depending on the magnitude of your changes and the quality of your training, the first few weeks or months are likely to be chaotic. It will to take some time before your KPIs hit your desired metrics. Every merger or acquisition begins with an investment thesis that defines the goals and financial impacts of absorbing the new organization into the acquiring company's business model. While much thought and effort is expended on developing a robust financial model, the business process and organizational implications of the thesis are often left unsettled until after the deal closes. 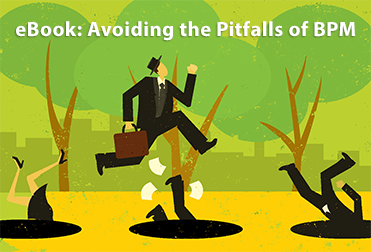 Unfortunately, when a deal fails to achieve the projected financial goals, poorly integrated business processes or misdirected process integration focus are often the root cause. Their staff already has experience using BPM tools to model processes and automate manual workflows - there will be many more temporary manual workflows required to bridge the two organizations while the technology integration is underway. Within the parent organization, the workforce is already accustomed to training and absorbing managed process changes. 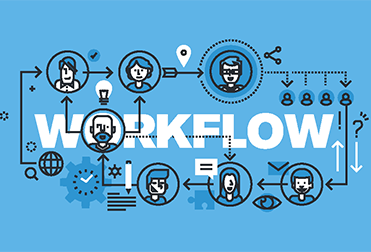 BPM tools give them the ability to quickly copy and configure existing workflows for the newly acquired organization before optimizing them - this also makes it easier to train and communicate the new workforce into how daily tasks are to be performed. Keep an open mind: the best mergers are transformative to the parent company as well as the newly acquired entity. Explore the acquisition's way of doing things, and you may benefit from unexpected process improvements. You will also win support from the acquired staff by acknowledging and adopting their better ways of doing things. Start as early as possible: Your business process due diligence needs to start alongside your financial, legal, and technical due diligence. Some process problems may have financial, legal/regulatory and technical impacts. Don’t let process knowledge walk out the door due to attrition within the acquired workforce. The brightest and best may be the ones who leave first. Get an early start to alleviate the risk of lost process knowledge that results from too many key people leaving right after the deal is announced. Honesty and transparency about plans are best for employee retention, but if your plans include the elimination of whole departments, you need to keep plans close to the vest. Outsourcing, whether it is offshore, nearshore, or onshore, has proven its effectiveness in lowering costs, improving product and service quality, and driving business innovation. It poses special challenges in the process area. These challenges need to be addressed early, while the initial decision to outsource is under evaluation. Most organizations do not move forward with business process outsourcing without carefully considering the upfront costs and ongoing costs of several outsourced service providers. These cost models are very difficult to build because it is rare that you will be able to make apples-to-apples comparison of two competing service providers - the devil is in the details. Those details may be hidden within the lowest level of the process hierarchy, where the outsourcing vendor’s model assumes that many daily tasks will still be performed by your retained staff. Because your cost model needs to include the savings that will result from reducing your internal staff, but you need to drill down several levels in your process hierarchy to understand the workload and headcount requirements of a proposed outsourced operating model. Start with your process hierarchy, expanded to its lowest level of detail. Flag the processes and workflows that each provider includes in their proposed service offering. 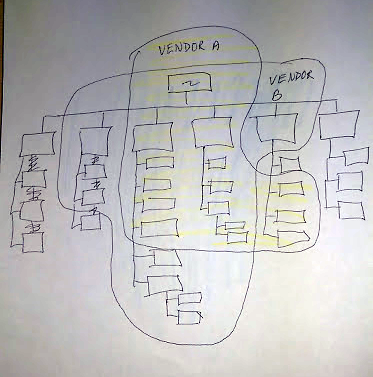 For cost comparison purposes, draw a boundary on your diagram that is big enough to include what each provider proposes to take on. In each case, you must factor in a different cost for retained staffing, estimating transaction volumes to the best of your ability. Bear in mind that step 4 involves a considerable estimating insight, because you are very likely to shift and consolidate responsibilities across existing roles and staff. When replacing or implementing large enterprise systems like ERP, EMR or Policy/Claims processing software, it's best to take a process-centric, rather than software-centric approach. The success of the technical implementation is based on how quickly and easily the workforce can embrace the new software. Again, begin with your existing process hierarchy and scope the implementation by process, not by application module (although there is always some degree of alignment between the two). Document new target processes, and drill down into new workflows and tasks that take place within the new software. If your employees are already fluent in your BPM lexicon, diagrams, and workflow documentation, they will be better able to understand and embrace the changes. If a business is struggling, management needs to execute a financial turnaround as quickly as possible. Time is the biggest enemy of a successful turnaround. Organizations with existing BPM capability will be able to achieve a faster turnaround because they have the framework, tools and discipline to zero in on those process areas that are likely to provide the biggest financial relief. At the outset, many turnarounds result in onboarding a new management team and possibly the engagement of specialized turnaround consultants. Well-documented business processes will speed their initial situation so that they can begin executing turnaround steps more quickly. The turnaround strategy may include outsourcing, abandonment of less profitable products and services, and deep staffing reductions. Drastic staffing cuts require that existing staff take on additional responsibilities, and they will be able to absorb the new work more easily if their new responsibilities and daily tasks are well-documented. In highlighting these special situations, our hope is that you can see that effective business process management provides lifetime benefits for your business. You will see near-term benefits as your workforce improves efficiency and develops the discipline to continuously improve the processes that make up their daily work. Effective BPM provides a single reusable framework for effective execution of special situations like M&A, outsourcing, and enterprise software implementations, but it can also save your business if you find yourself in an unexpected downturn. This guide was a collaboration between Integrify and Joanne Wortman. Integrify provides workflow management and automation software used by a wide variety of large and mid-sized companies as part of their BPM/BPO solutions. Joanne is an independent business/technology consultant and freelance writer in the NY Metro area with almost two decades of experience providing business process optimization, organizational change management, M&A integration, and program management across many business sectors.